Earlier this year, Washington Technology shared four technology trends that it predicted would take shape in 2017: IT modernization, the digital connect, data security and intelligence-driven enterprise. Now as we enter the next federal fiscal year, the publication is checking in to see how those predictions have fared – and share some thoughts about what will happen next. Under the new administration, the most significant trend we’ve seen take shape is not just about leveraging technology to better streamline service delivery, but enabling efficiencies and cost savings across the federal government while doing so. 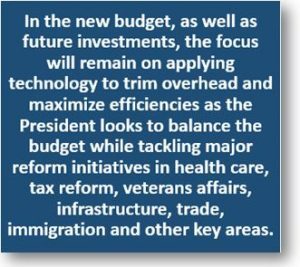 Since the president’s proposed 2018 budget has not yet been approved, and agencies will likely be working with extensions for a few months at least – not to mention the looming possibility of sequestration, we envision that the focus will remain on investing in, and deploying, and applying technologies that drive outcomes while reducing costs. The federal government needs to assess its IT infrastructure and address cybersecurity, modernization and assessment reform as equal, intertwined priorities, suggests the IT Alliance for Public Sector, a division of advocacy and policy organization for the Information Technology Industry Council. In a letter sent to President-elect Donald Trump, ITAPS declares that its membership — which includes hardware, software, services and solutions companies — is dedicated to working with the new administration to improve government operations and efficiency and reduce wasteful spending on aging inventory. ITAPS hopes that a review of procurement regulations and workaround programs (Digital Services, 18F, DIUx, etc.) will ease barriers to acquiring commercial technologies. “The federal government spent $80 billion on IT systems last year. Shockingly, 80 percent was spent maintaining costly, vulnerable IT systems that many American taxpayers would expect to see in a Smithsonian collection,” said ITAPS Senior Vice President for Public Sector Trey Hodgkins, who signed the letter to Trump. The General Services Administration (GSA) and the Department of Health and Human Services (HHS) are facilitating a ‘national dialogue’ to discuss ideas on how to reduce the costs associated with reporting compliance under Federal awards, including contracts, subcontracts, grants, subgrants, and cooperative agreements. The GSA/HHS notice is posted at: 80 Fed. Reg. 17438. 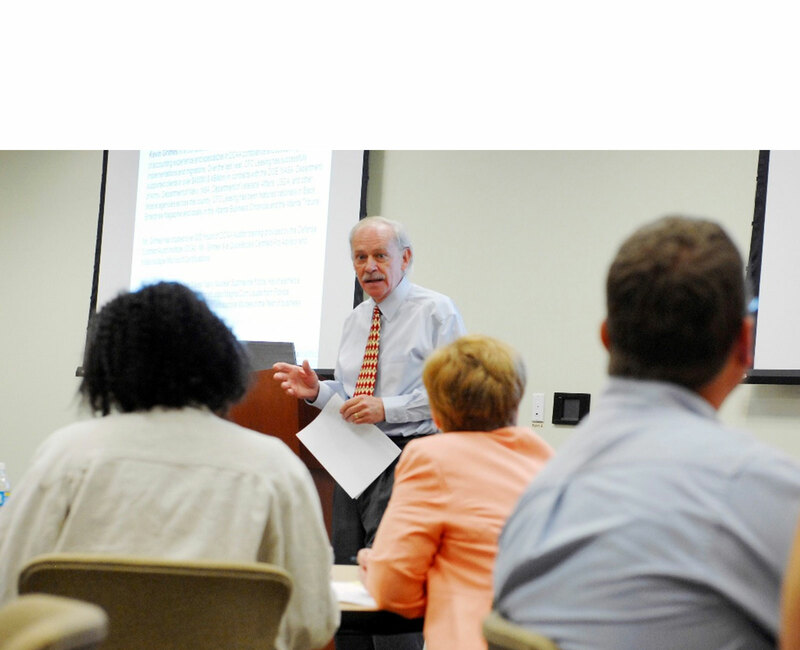 The dialogue is part of an effort to improve the economy and efficiency of the federal award system by identifying impactful steps that can be used to streamline reporting, reduce burden, and reduce costs. Interested parties may participate in the national dialogue through an online platform by reviewing the information and participation dates posted at www.cao.gov. The dialogue will open on May 30, 2015 and close on May 30, 2017. While the federal contracting industry is by no means recovered, the future looks a good deal brighter than it did just a few months ago. The two-year budget agreement has partially mitigated the impact of sequestration and greatly reduced the risk of a government shutdown. The agreement brought some stability and predictability to a market that has been starved of both for several years. Each year, Deltek conducts a Clarity study assessing critical business metrics in the government contracting industry, such as growth rates and profit margins, plus operating metrics and trends, in areas such as business development, program management and financial operations. The early results reflect the improved outlook resulting from the budget resolution. Yet, as one would expect, certain financial metrics — such as profits, mergers and acquisitions and win rates — reflect the difficult year that was 2013. VOSBs are veteran-owned small businesses, including service-disabled veteran-owned small businesses (SDVOSBs). The VA’s initiatives on behalf of VOSBs have been both lauded and criticized. Early in the VOSB program, critics charged that the standards were lax, resulting in fraudulent misrepresentations by firms not truly owned or controlled by veterans. In separate investigations, both the Government Accountability Office (GAO) and the VA’s Office of Inspector General (IG) found numerous instances of fraud. In seeking to take corrective action however, the VA currently is subjected to much criticism by veterans themselves who complain that the verification procedures are onerous and hard to understand. Under current rules, legitimate VOSB who have been rejected by the VA must wait six months before reapplying for verification. The VA invites public comments on the ideas offered in the compilation document as well as on eight specific questions posed in the ANPR. The Georgia Tech Procurement Assistance Center (GTPAC) encourages all VOSBs and SDVOSBs to read the ANPR and submit comments, ideas and suggestions. You can download the two-page ANPR here: Advanced Notice of Proposed Rulemaking – VOSB Verification Guidelines – 38CFR Part 74. Comments are due by July 12, 2013. 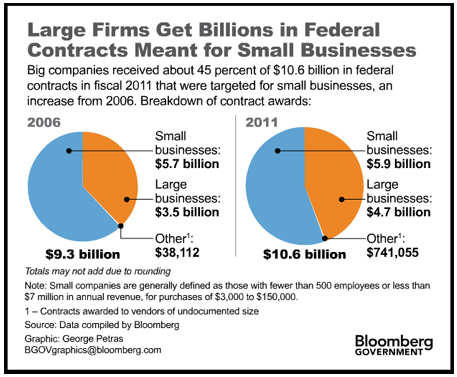 The BGOV Barometer shows that about $4.74 billion, or 45 percent, of more than $10.6 billion targeted for small businesses under government acquisition rules were won by bigger competitors in the year that ended Sept. 30, 2011, according to data compiled by Bloomberg. Companies that need the revenue the most are losing opportunities, said Margot Dorfman, chief executive officer of the Washington-based U.S. Women’s Chamber of Commerce. by 10 percent of respondents, double the previous year’s total. efficiently, a drop from previous surveys. The survey also found that profits improved slightly from the previous year. Agency uses in determining whether to allow such costs. procurement process,” the survey said. percent said they refused such requests. “legitimate small business,” the league said. the $21 billion total for the top 100, the study found.